Vitamins or diet? She's on the case! 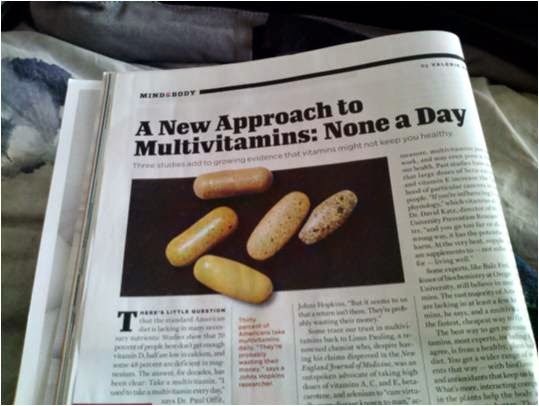 Back in December, I wrote about a study that was reported in the Annals of Internal Medicine about the efficacy of multivitamins. According to their findings, taking multivitamins provided no preventative benefits related to cancer, heart disease or any other chronic illnesses. Unlike medicines such as ibuprofen that show benefits within the hour, we've all taken it on faith that multivitamins work. According to the Pfizer Consumer Healthcare (Centrum vitamins) marketing department, "Multivitamins are intended to be used as part of an overall healthy lifestyle and can help fill the gaps in one’s diet to help ensure people get the recommended amount of key vitamins and minerals needed each day." So do they actually help? Well the Emerging Runner family decided in December that those findings were a good enough reason to stop taking them. Almost four months have passed since we last took our daily doses. Besides a few days of sneezes and sniffles in February, we haven't missed them at all. Our family eats well, with plenty of whole grains, vegetables, salads, lean meats and plant-based proteins. I'm betting that our diet provides sufficient protection. Therefore, I'm going to conclude that multivitamins are unnecessary, at least for healthy eaters. I did have a rough patch with my running this winter, but I attribute that to poor training rather than to either diet or the lack of a multivitamin. And those horse pills are no joy to swallow, either. Men's Journal had an article in the March issue that restated these findings and offered other evidence that vitamin supplements don't work. I'd be curious to know how these conclusions have affected vitamin sales, or if most people continue to take them just to be safe. This morning I had a very nice run around my surrounding neighborhoods. Now that I'm regularly exceeding five miles when I go out, I can feel a real difference in my endurance. Curiously, I started to feel a drop in energy around 30 minutes in, but within ten minutes, I felt as strong as I did at the start. This structured training seems to be working. Why did it take me six years to start following a plan? If you take enough vitamins that you need to line up the bottles, it might be worth considering the benefits of stopping. One less thing to do each day and vitamins aren't cheap. I'm not fully dismissing supplements entirely. Some people really need extra vitamin D and there's still support for folic acid for pregnant women. Not only that, she's also wearing running clothes under her trench coat As I recall, you actually studied this detective stuff. 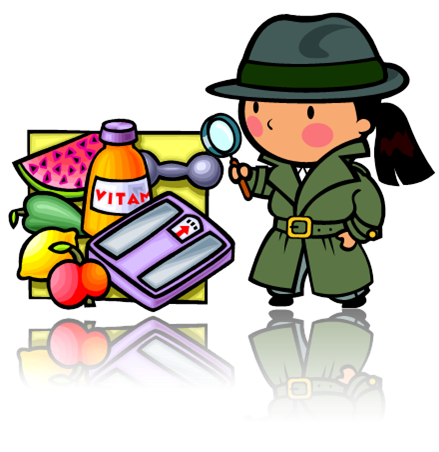 See if you can solve "The curious case of the specious supplement." I don't know anyone who runs in a white blouse. The little detective begs to differ.